The use of this site is governed by the policies, terms and conditions set forth below. Please read them carefully. Your use of this site indicates your acceptance of these terms and conditions. Your placement of an order indicates your acceptance of these terms and conditions. Your submittal of any purchase order to AUSDISCS.com.au indicates acceptance of these terms and conditions. AUSDISCS.com.au reserves the right to make changes to this site and these terms and conditions at any time. By ordering or registering on AUSDISCS.com.au you grant us the right to add your contact details to our database and email transactional order, shipping and product review emails. From time to time we may contact you about offers and new products. You can easily be removed by either unsubscribing via the link at the footer of any marketing communications or contacting our Customer Service team and we will remove you from marketing communications. Your receipt of an electronic or another form of order confirmation does not signify our acceptance of your order, nor does it constitute confirmation of our offer to sell. AUSDISCS.com.au reserves the right at any time after receipt of your order to accept or decline your order for any reason. All orders placed must obtain pre-approval with an acceptable method of payment. We may require additional verifications or information before accepting any order. AUSDISCS.com.au is a reseller to end user customers and does not accept orders from dealers, exporters, wholesalers, or other customers who intend to resell the products offered by us. AUSDISCS.com.au is not liable for any losses or damages caused by this website or any website linked to or from this website. We reserve the right to refuse any order without giving a reason. Upon cancellation of an order, we will make all reasonable attempts to contact you using the details provided. All received monies will be refunded using the method received. Customers who choose Express Shipping (no signature) give authority for their order to be left unattended at their delivery address. AUSDISCS will only replace orders using this shipping method providing the order is proved lost in transit by our delivery company. Certain factors such as order size, weight and shipping address may require us to ship via another method. AUSDISCS reserves the right to change your shipping method in these cases and will provide tracking details for the new carrier once shipped. The delivery times provided by AUSDISCS.com.au are estimates only. AUSDISCS will not be held accountable for late deliveries or loss or damage relating to late deliveries. Returns are offered to orders shipping to an Australian address Only. If in any circumstance you pay for return shipping AUSDISCS will not reimburse postage costs Returns must be in as new condition with tags attached unless faulty. Returns must be made within the 14 Day timeframe listed on the returns page unless faulty. Size exchange requests are subject to availability of stock. Should your size request be unavailable a refund will be provided. Any items returned outside of this period (unless faulty) or items returned damaged or soiled (unless faulty) will be the responsibility of the customer to retrieve. AUSDISCS will not pay to return these items to you. The shipping address for your order is shown in the checkout and on your order confirmation and shipping confirmation emails. In the event that an incorrect address was entered, address changes can be made until the order begins processing. AUSDISCS cannot accommodate all address change requests. AUSDISCS takes no responsibility for orders shipped to an incorrect or invalid address and is not liable for any loss due to customer error. Some orders may incur a customs or import duty charge. AUSDISCS does not have any control over these charges or are unable to advise what they will be, as it is based on your own countries regulations & compliances. For further information, please contact your local customs office. All charges are to be paid by the customer on delivery of order. Orders cannot be returned to sender and AUSDISCS will never pay these customs charges on your behalf. If you refuse to pay these charges your parcel may be abandoned, and AUSDISCS will not be held responsible for any loss of funds as a result of this occurrence. We cannot mark International orders as a gift in order to bypass or reduce any customs fees. This is an illegal practice and as an established business we will not do this. All repairs are carried out by the manufacturer and not by AUSDISCS. In some cases, faulty items cannot be repaired and a replacement or refund will be offered. AUSDISCS cannot control the availability of parts of replacement goods. AUSDISCS has no control over manufacturer warranty periods, nor can we control repair periods and cannot advise what they will be. We will, however, do everything we can to ensure your faulty item is handled as quickly as possible and that you are informed throughout the process. In cases where you have returned goods directly to the manufacturer, AUSDISCS cannot be held accountable for repair periods or communication from the manufacturer.In cases where a faulty item was received a pre-paid shipping label can be emailed to cover the return costs on the faulty item. Faulty items may be returned outside of the regular returns time frames providing the item is still under warranty. Please contact customer service or the brand directly for warranty periods. We aim to have your return processed within 24 hours of receiving the item; however, some faults must be approved by the manufacturer before a refund or replacement can be issued. This process usually takes around 1-4 weeks. In most cases, products returned in used condition will be repaired instead of replaced and will not be refunded unless repair is impossible. For more information on the warranty of your product, please contact the brand directly. If notified before goods have been dispatched, AUSDISCS.com.au can accommodate order cancellations. If items have been shipped, AUSDISCS.com.au reserves the right to refuse order cancellation or charge a cancellation fee should we be able to request the return of the package from our delivery service. 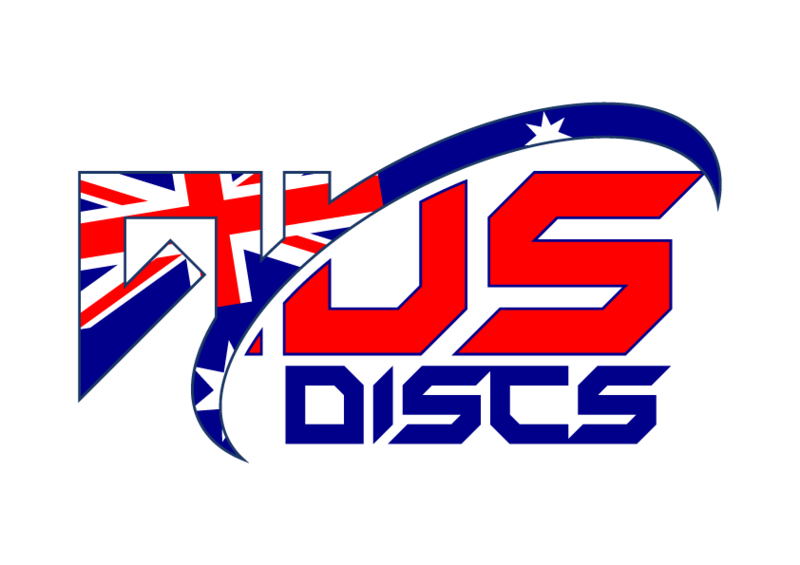 This site is owned and operated by AUS DISCS Pty Ltd. Unless otherwise specified, all materials appearing on this site, including the text, site design, logos, graphics, icons, and images, as well as the selection, assembly and arrangement thereof, are the sole property of AUS DISCS. You may use the content of this site only for the purpose of shopping on this site or placing an order on this site and for no other purpose. No materials from this site may be copied, reproduced, modified, republished, uploaded, posted, transmitted, or distributed in any form or by any means without AUS DISCS prior written permission. All rights not expressly granted herein are reserved. Any unauthorised use of the materials appearing on this site may violate copyright, trademark and other applicable laws and could result in criminal or civil penalties. In the event a product is listed at an incorrect price or with incorrect information due to typographical error or error in pricing or product information received from our suppliers, AUSDISCS shall have the right to refuse or cancel any orders placed for product listed at the incorrect price. AUSDISCS shall have the right to refuse or cancel any such orders whether or not the order has been confirmed and your credit card charged. If your credit card has already been charged for the purchase and your order is cancelled, AUSDISCS.com.au shall immediately issue a credit to your credit card account in the amount of the charge. This site may contain links to other sites on the Internet that are owned and operated by third parties. You acknowledge that AUSDISCS is not responsible for the operation of or content located on or through any such site. All orders are subject to pre-authorisation checks to ensure sufficient funds are available and to confirm the validity of the payment method. The total amount of the order will be frozen on your account and this amount is taken when the order is dispatched. Authorisations will appear as pending charges on your card, but you will only be charged once for a single order when it is despatched. Orders cancelled before shipment will still have this authorisation held. Some orders may be subject to small charge verification before they are approved for shipment. In these cases, a small amount between $0 and $1 will be held on your credit card and you will be asked to confirm this amount to validate your payment. This is not a charge, but an authorisation which will release back to you. Customers choosing to checkout with PayPal Express will automatically have their order shipped Express Shipping (no signature required) unless bulky. The order will be shipped to the address selected in your PayPal account. Once the order has been shipped AUSDISCS cannot alter your delivery address or shipping method. In order to redeem the gift card, The Customer must use the AUSDISCS checkout by selecting “Proceed to Checkout” in the cart; “PayPal” checkout will bypass the gift card redemption page. AUSDISCS gift cards entitle users to Australian Dollars which can be redeemed at AUSDISCS.com.au In order to successfully use your Gift Card the following rules must be adhered to – The Gift Card must be entered and used within the payment page; The Gift Card must be used prior to the Gift Card’s expiration date; The gift card cannot be used to purchase – Gift cards. Should The Customer return items bought with the use of the Gift Card AUS DISCS will, at AUS DISCS discretion – Issue a refund by way of credit to their gift card up to the value of the gift card amount redeemed, and by regular refund for the value exceeding the value of the gift card. In order to redeem your gift card, you must use the SurfStitch checkout by selecting “ Proceed to Checkout” in the cart; “ PayPal” checkout will bypass the gift card redemption page.